Below is Sean Paul Day's letter of complaint to the Judical Conducts Office. Why is it that again, an ordinary rank and file working driver has had to do what drivers are paying their respective orgs to do. I’m writing amidst the growing concern over what appears to be a conflict of interest where certain political affiliations might be construed as showing favour in respect of a particular company, undermining the Chief Magistrate’s impartiality in two cases. The conflict arises due to Magistrate Arbuthnot’s marriage to Baron James Arbuthnotand his friendship with the former PM David Cameron. Cameron’s close relationship with individuals working for Uber in marquee positions is well documented. This is further evidenced by Uber’s close links with the previous administration at Number 10 & 11 who now enjoy financially rewarding positions with companies who invest heavily in Uber Technologies Inc. Cameron also nominated James Arbuthnot as a Life Peer in the Dissolution Peerages List 2015 of August 2015. The concern is that JamesArbuthnot’s closeness to the former PM might compromise Magistrate Arbuthnot’s ability to apply discernment in cases involving Uber. 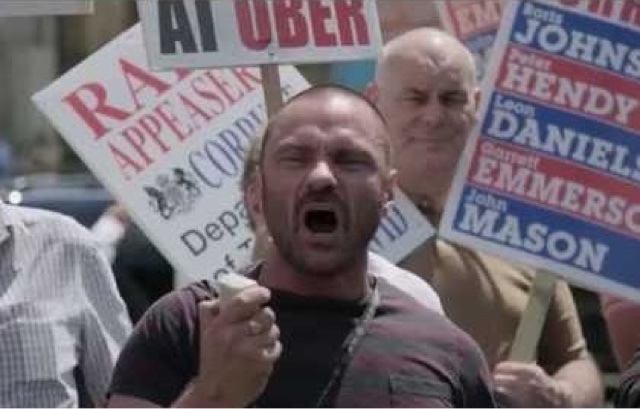 The concern is legitimately heightened on learning the same Magistrate has presided over a second trial involving Uber and both times Magistrate Arbuthnot has ruled in Uber’s favour. Without considering the merits of both cases in detail the conflict of interest was compounded on during the Reading verdict when Judge Emma Arbuthnot on Page 4, section 14 (how the app works)…in her summary stated that it was the driver who accepts the job and only then Uber makes the booking. This is illegal act that contravenes legislation laid out as part of the 1998 PH Regulations. TfL Operator License explicitly state in their terms that a Private Hire booking can only be accepted by a licensed operator at their registered operating centre.. There is a specific duty on private hire operators to keep certain records of their operation. These include booking records which must include ‘the main destination specified at the time of the booking’ (paragraph 4(d) of the PHV (London) (Operators’ Licence) Regulations. To disambiguate, the defining characteristic of a PHVs is that it must beaccepted through an operator. The Act also references that no person other than a Private Hire Operator (PHO) shall make provision to accept a booking. A person who makes provision for the invitation or acceptance of Private hire bookings or who accept such a booking in contravention of his section is guilty offence and liable on summary conviction to a fine not exceeding level four or standard style. The statutory structure/definition is referred to frequently by TfL and was referenced in the legislative provisions before Justice Ouseley. CITATION Number:  EWHC 2918 Admin Case No: CO/1449/2015. Conversely, at the earlier trial on the 6th, Magistrate Arbuthnot was unhesitant in her acceptance of an explanation that Uber had altered its app, and was now equipped with a feature informing the user that the booking had been accepted by Uber London LTD (ULL). Only afterwards is the user linked with a driver. If this is the case, and as yet there is no evidence to suggest it has been altered, the app would now comply with current legislation. This I starkly inconsistent with ‘the driver accepts...then uber confirms the booking…‘nevertheless, Arbuthnot ruled that his actions did not constitute plying for hire. Itshould be noted also that Uber do not hold a PHO licence in Reading. The case holds gravitas as a ruling either-way could detrimentally impact on the lives of tens of thousands of sole traders and their families. It would also elevate a corporate entity to a position that resides above the law of the land. The concern here, is that a certain ruling will be used to determine future Government policies which are relevant to both cases. I trust the matter will be looked in to.